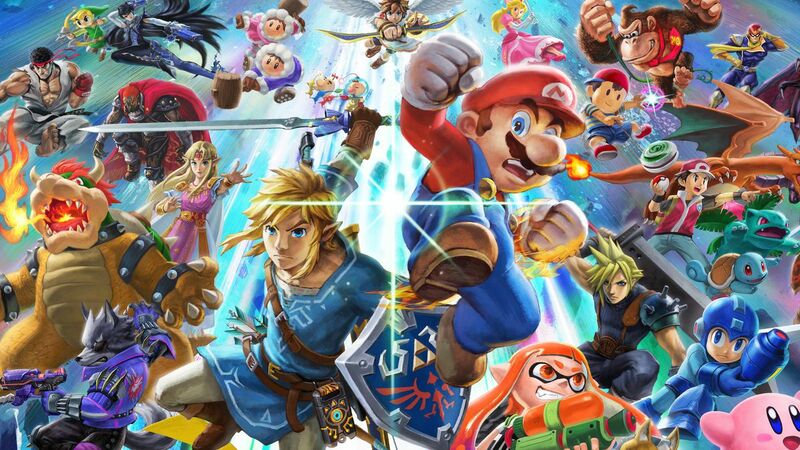 At EGX 2018, I had the opportunity to go hands on with Super Smash Bros Ultimate on the Nintendo Switch. The previous version initially came out for the failed Wii U and this sports many improvements, but how does it fair? At this year's Eurogamer Expo, Super Smash Bros Ultimate was playable and as I got in quite a bit of time with the previous Wii U/ 3DS version, I was excited to see how the game fares now, especially in its gameplay and of course being dubbed the 'Ultimate' version. To kick things off, the build I played didn't have the entirety of the announced roster available, but instead hosted a total count of roughly 20 - 25 characters which was mixed between both returning and those new to the series such as Inkling and Ridley. The first thing that stood out to me was how much better the game looked. The menu had a lot more impact to it and everything felt a little more in your face, rather than the smaller icons we are used to. While I didn't get to see all this area had to offer, the improvement was instantly noticeable to me and that is always a good start. So what about the actual gameplay and stages? In this instance the only stage I got to play on was DK Jungle and it seems that the visuals have been given more detail and a brighter overall look. Its not the biggest visual change, however its one that I think even the standard player would notice. Colours are bolder and the camera angle seems to have been shifted slightly, so light sources place better. Finally how does the game play. Well it definitely feels faster than the Wii U release, but not on the level on Melee, striking a sort of balance between the two which hopefully all players will be happy with. Strong attacks that are meant to knock out in one hit get a mini slow-mo effect to showcase their power such as the Falcon Punch or Shoryuken and there are these extra little touch ups like smoke effects when you get sent flying that correspond to the player's number character. I think those who have been looking forward to the Nintendo Switch version of this series will be happy with the results and perhaps those who didn't like Smash 4, will be more inclined to give this version a go. Of course there is a lot more to the game that I couldn't unfortunately demo, but as we are practically three months away from its release, I'm sure there will be another direct that will go into this.